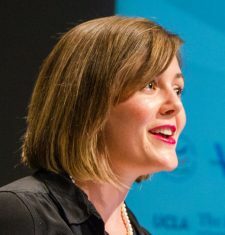 Jennifer Yore is a Senior Research Program Manager for the Center on Gender Equity and Health (GEH), at The University of California, San Diego. She oversees a research portfolio inclusive of multiple domestic and international research studies. Jennifer received her B.A. in International Studies from Louisiana State University in Baton Rouge and her Master of Public Health in International Health and Development from the School of Public Health and Tropical Medicine at Tulane University.